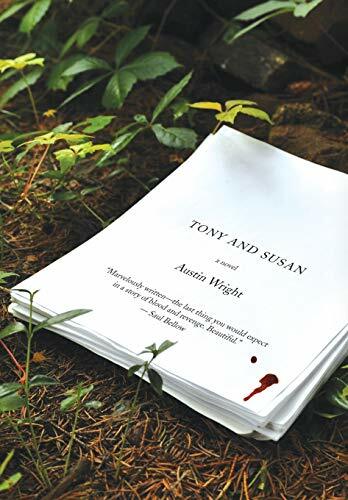 Austin Wright's 1993 novel 'Tony and Susan' came and went without much notice. Then an English publisher rediscovered it. Now this chilling story of marriage, divorce and payback is available again in America. 'Tony and Susan' is the unassuming title of an American novel first published in 1993 that came and went without making much of a wave. The book's author, Austin Wright, an English professor at the University of Cincinnati, also died quietly — at the age of 80, in 2003. So with his seven novels: All seemed destined for the graveyard of the unread where most fiction goes. But then last year a publisher in England rediscovered the book and published it to critical praise and sales that were decent enough to vault it back across the Atlantic. Bravo for second chances, because fiction seldom gets this good. And Wright's story-within-a-story, gives readers a two-for-one, the page-turning attributes of a thriller paired with a recollection of things past that shows how one woman manages life's insults. Were you aware that Saul Bellow once blurbed a thriller? This is what he said of Tony and Susan: 'Marvelously written—the last thing you would expect in a story of blood and revenge. Beautiful.' Sadly, that rare encomium did not put this terribly neglected novel on the road to fame and fortune. It appeared in the USA in 1993, and enjoyed similar favorable reviews but like too many good books, it came and went, creating no significant ripples on the commercial publishing waters—not helped by the fact that it had been published by a now-defunct small house, Baskerville, with little sales and marketing clout to capitalize on the critical response to the book’s publication. Also, regrettably, it is a novel that’s been ignored and doesn’t appear to have inspired others. On one hand, it’s a stark meditation on violence and the way it affects us; on the other, it’s a truly remarkable book about reading, about how we read and how it can matter to us. Tony and Susan is a double whammy of a lost classic. As a bonus, the writing and style are seductive in the extreme. It’s witty in the way the author’s voice (Austin Wright? Edward? Susan even?) punctuates the colloquial dialogue with echoes of the seeming inarticulacy of the characters’ words and thoughts. And the descriptions of roads and forests at night, the way light falls onto the terrain and the sheer heaviness of the silence in which Tony struggles most of the time, are inspired. Wright writes like an angel.